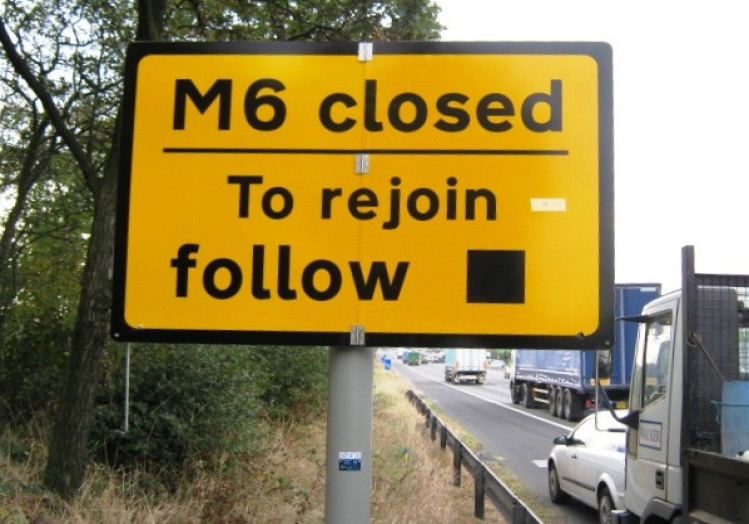 When, for whatever reason (for example, because of a serious accident), a section of motorway or main road has had to be closed, an Emergency Diversion Route may be in place. An Emergency Diversion Route guides traffic around the closed section, bringing it back onto the same road further along its length. Black symbols on yellow patches indicate that an Emergency Diversion Route is operating. A trigger sign will alert road users to the closure, and shows them which symbol to follow. A number of different symbols are used, as in some places there may be more than one diversion operating. The range of symbols used is shown below. Riders and drivers should follow signs bearing the appropriate symbol. 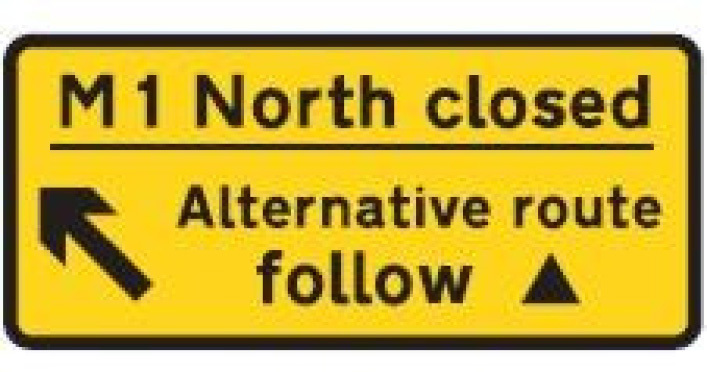 These may be displayed on direction signs – and may give the number of the road to follow – or on separate signs.